Martha Sharp Joukowsky, recipient of the AIA's Bandelier Award for Public Service to Archaeology, discusses an adventurous and accomplished archaeological career. Over the past four decades, Martha Sharp Joukowsky has participated in archaeological excavations throughout the Mediterranean, the Middle East, and Asia, traveling to each corner of the globe with her husband Artemis who served as a senior executive of the American International Group. Since 1992, she has been directing excavations at the Great Temple at Petra in Jordan, where she has made remarkable discoveries ranging from elephant-headed column capitals to one of the finest ancient stucco ceilings ever unearthed. Between 1989 and 1993, she served as the president of the AIA, during which time she worked tirelessly to secure offices for the Institute, increase its Membership, raise funds, and underwrite the establishment of an engaged Professional Responsibilities Committee. "I was building on the work of the people before me and I had wonderful people around me," she says. "Some of it we learned by the seat of our pants, to bring the AIA to a level of strength in order to project what the organization should be in the future. We worked very hard, the whole board did. Much was accomplished in a collegial and team-spirited manner. We had a good time, too." The AIA was delighted to honor Martha and Artemis Joukowsky with the Bandelier Award for Public Service to Archaeology at its 2nd Annual Gala on April 28, 2010. In advance of the New York event, she spoke with ARCHAEOLOGY's Eti Bonn-Muller about what inspired her to become an archaeologist, how the field has changed in the past 30 years, and her closest "Indiana Jones" moment. You've had such an amazing career. What originally inspired you to become an archaeologist? It was the thrill of discovery! As a child I loved to play around in the sand and discover things. And then I would re-bury them only to rediscover them again. I created imagined contexts for my discoveries. So your interest started from when you were a kid? Oh, yes. And my parents, my mother, a social worker, had traveled to Israel and Iraq and my father who was in Egypt with UNWRA told me about ancient archaeological sites they had visited. That really inspired me. Then, when I was in college, I decided to major in classics. Unfortunately, there was no archaeology major at Brown University. These were the dim, dark days, before archaeology as a concentration was conceived—archaeology was non-existent as a discipline. A student majored in classics or majored in art history. Or, perhaps they elected to take an anthropological route. If you were interested in objects and material culture, you might select an art history concentration, and if you were interested, as I was, in Middle Eastern archaeology, you had to decide if you were going to major in anthropology or classics. At that point in time, in the '50s, we didn't know very much about our past before Greece and Rome. Why did you decide to specialize in Middle Eastern archaeology? In college I wrote a paper on the Sumerians, and the only book that had been published about the Sumerians was Samuel Noah Kramer’s, The Sumerians: their history, culture, and character. I can remember thinking, "We don't know anything about these people! Who really were the Sumerians?" Well, of course, years later, I was teaching the Sumerians, trying to demystify their culture for my students. How much more we know now, not only from the literature, surveys, and archaeology. However, we take our knowledge, to some degree, for granted because so much has accumulated over the years. Like so many college students, I accepted the prehistory of the Middle East and the Bible as archaeological fact. And was it or was it not? These were just tales of old, but I wondered if there was some actual evidence that could substantiate them. So many Mesopotamian myths had linkages to the Bible. Why didn't anyone know that? These connections became very intriguing and profoundly stimulating. When was your first trip to the Middle East? What were your impressions? My first exposure to archaeology in the Middle East took place because my husband was assigned to Beirut in 1966. He was then regional vice-president for the Middle East for AIG [American International Group]. With a team from the American University of Beirut [AUB] I started excavating with Dimitri Baramki in the '60s in the Bekaa Valley at Tell el Ghassil in Lebanon, which had contacts both with Mesopotamia and Egypt. I then excavated with James B. Pritchard [a former AIA president] at Phoenician Sarafand on the coast of Lebanon. And, of course, to find Egyptian artifacts and lapis lazuli beads from Mesopotamia and Cypriot pottery—it was all very exciting! How were we going to put together this tapestry of contact? So I had full exposure, surveying and excavating two long seasons each year. So that's when the thrill of field archaeology began for me. My master's degree in archaeology at the AUB continued to spawn all kinds of new ideas. And those experiences inspired you to specialize in the region? My work in Lebanon was definitely a turning point. That's where I really became interested in understanding what was shared between cultures. It's the archaeologists who go out on a limb and say, well, there must have been contact! For example, the sculpted elephant-headed capitals from the Great Temple at Petra. I have thousands of elephant fragments. What are these Asian elephant fragments doing in the middle of the Arabian desert? There must have been contact with India! We think of the world as a microcosm of our own experience? This was a free-flowing society. Not only were there Indian ideas, but they also had a few contacts with China! Obviously some ancient people were sharing their ideas. 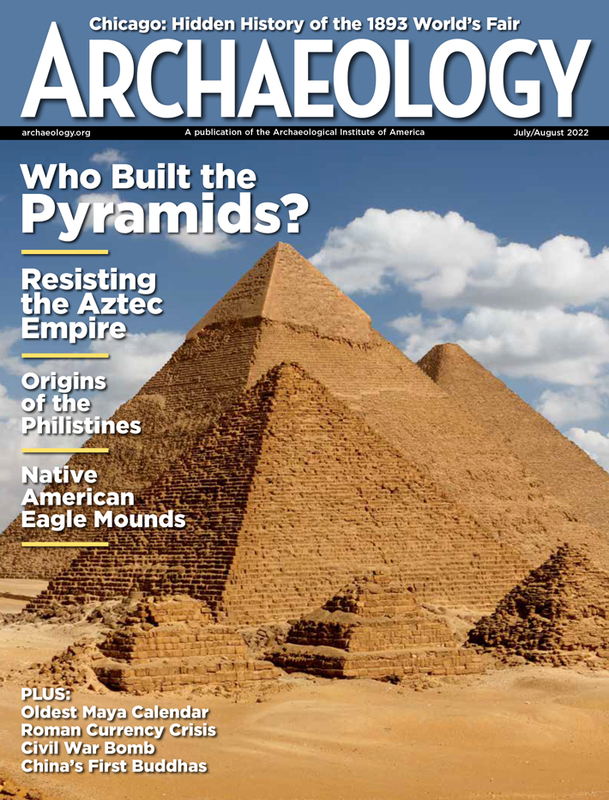 What are some of the developments in the field of archaeology over the past 30 years that excite you? I think that we were on the frontier of expressing a "new" archaeology, which had its beginnings in the '50s and '60s. This was very much jump-started by the anthropologists. The entire discipline has changed and become much more specialized. We enjoy techniques today that couldn't have been dreamed of in the '50s and the '60s. The move from using ordinary surveying tools to total stations and laser transits has provided a revolution in the field. Our reliance on satellites, ground-penetrating radar, magnetometers...these are things I wrote about in the '70s as being the "new" tools for archaeologists. They are now old hat to those who are digging today. The scientific evolution and the use of computers are really extraordinary tools for archaeologists. The big problem is the storage and dissemination of data. Few archaeologists have actually published or put their data online for the world to assess. There are very few Ian Hodders in the world, God bless him! But again, such exposure represents a revolution in archaeology. What are people actually experiencing while they're excavating? How are they interpreting finds? Archaeologists have found a tremendous support from the scientific initiatives that have brought a sharper focus to the discipline. Are there any aspects you miss of the way archaeology used to be done? No...no...no. I mean, I think archaeology has truly come into its own as a foremost discipline. Field methods in the old days were sort of romantic to a great extent, and haphazard. Just read through the original Megiddo reports or James Mellaart's Çatal Höyük publications written years and years ago. They were among the most professional publications of their time, but Mellaart writes of thundering hordes of "barbarians," which the Chalcolithic folk may have been. Value judgments aside, now we try to develop an explanation for what their origins were and why those hordes were there. The discipline has become fine-tuned and come a long way. There have been a lot of growing pains in the profession. In some ways, they've been painful for the older generation—for people like me, although I've always embraced changes, and change is for the best. But I think it's been very difficult to be able to master all of the new techniques. Using high-tech methods, new developments help us organize and create new excavation research designs around such changes. Mastering their use does take time but provides opportunities to meet new challenges. Have you made any particular discoveries over the years that really stand out in your memory? I take a long time not only to make discoveries, but also to interpret them. For example, I was very interested in pottery typology; to find Samaria-type wares at Iron Age Sarafand, to find Aegean imports, to recover blue faience baboons from Egypt—oh, it was a thrill! At Aphrodisias I discovered Late Neolithic origins for the site; in Corfu I found that Corinthian contacts were pervasive; in Sicily it was the Early Bronze Castaluccian culture that had to be explained. The ancient past clearly identified the fluidity of society and fortunately such evidence was left behind. Discovery provided eye-openers. And I am struck that for me the process of discovery and excitement continues today. Was there one spark? Hm...Perhaps the spark came after I had finished writing my first article for publication. I had put some of the puzzle pieces together. But it took a tremendous amount of time to prove my theories. I didn't realize or understand the time element when I, as a budding archaeologist, initially took my sense of inquiry into the field. I have to ask, with all of your excavation experience and travels, did you ever have any Indiana Jones-type adventures? I've had a number of terrific adventures. I was caught in the middle of a knife fight in Sarafand [Lebanon] that was terrifying. I calmed everybody down, but it did take some strong language. That could be considered an "Indiana Jones" moment, as was the frightening midnight airlift, in the dark, of the foreign community during the '67 Six Day War. There's always something developing, but at first it might not meet the eye—from arguments and petty jealousies between workers to tribal jealousies or conflicts between nations. In China, in Hong Kong, for instance, in the 1970s, I was dealing with Hong Kong University and the Chinese University of Shao Tian, and a group of ex-patriots. Initially no group would speak to the other. I was leading three separate teams into the field, with each having different expectations. This was really a trial but it perhaps represented the initial thrust of the Chinese University to become directly involved in archaeological fieldwork, with which they are actively engaged today. It went really well. I demanded there be communication between them! And finally, there was. The Hong Kong authorities and the Hong Kong Archaeological Society maintained a lingering colonial mindset of the ’70s that was resented by the people from the Chinese University. This was their culture! How could the "round eyes" [barbarians] tell them what they "already knew"? There were many anxious moments; however, the Hong Kong government was very generous. It gave us tugboats to ferry us to Sham Wan Island and airlifted equipment out to us. This excavation was something that they wanted to happen. All in all I had tremendous cooperation. And it all worked out [laughs]. It usually does. It has to! And as an American woman being the director of the excavation was something else, too! Because I was a woman and an American, I heard all kinds of pointed off-handed remarks. Did you ever encounter similar difficulties as a woman working in the Middle East? Rarely. People seem to have taken me at face value. Perhaps they have harbored reserved feelings about my being a woman, but I have never experienced them. What period was the site you worked on in Hong Kong? It was a Chinese Neolithic site, and after a hiatus, the remains belonged to the Five Dynasties period [907-960]. We were looking for Neolithic maritime adaptations of sea peoples. Who were these peoples who in about 2000 BCE came and settled in the South China Sea? Hong Kong itself was so overbuilt that excavation on the island proper probably would have been useless, but at Sham Wan, an adjacent island, there were still fisher folk living that were sea people even today. I depended on the local women to help me in the excavation; I have never had such meticulous workers. They were superb. There have been a lot of turning points in my life. To a great degree, my career before I held a regular position at Brown depended on my husband's corporate appointments outside of the U.S. I didn't want to leave Lebanon for the Far East at all—because at the time I was in my element excavating, I was writing my PhD dissertation, and we were stimulated with our lives in Lebanon. Once acclimated to the move from the Near East to the Far East, however, I found a great pleasure of living and excavating in Hong Kong. What has been the most challenging part about being an archaeologist? As far as projects are concerned, I think the Great Temple at Petra has been the most challenging to direct, write, and publish—to do all the things a professional should do to honor what is excavated. It has been an amazing experience. I carry the experience with me wherever I go. The greatest surprise for me is that initially I never realized how much time the excavation and research would take. Originally, I am struck by the fact that I submitted a five-year proposal to the Jordanian Department of Antiquities, imagining that I could complete such an excavation in five years...what was I thinking? Now I must establish closure. I have attained closure to some degree with the Petra Great Temple excavations, which have been active on a full-time basis for 18 years. Well, here I am still working on the publication of Great Temple Volume III. Time is the most valuable factor that we have, to work, to write, and to interpret. On a personal level working for 10 years at Aphrodisias [Turkey] with Kenan T. Erim was also a challenge in many respects. Not only was Kenan demanding, but in the ’70s and ’80s I had three children in their teens, a very active husband who traveled the world as a trouble-shooter for his company, and I was teaching full time at Brown University. I had to find the time for research and publication, plus I was active in the AIA. Even with affirmative action, gendered constraints still existed and my challenge was to be heard. Now as I look back on my career, I'm not sure how I managed. But I do know that I am proud of being an archaeologist, I am proud of being a woman, and I am grateful to my family, particularly my husband of 53 years, for all the support and love I have enjoyed. I also owe a tremendous debt to my colleagues and friends. Can you describe your current research at the Great Temple? The site was named the "Great Temple" in the '20s by German archaeologists. Perhaps it was a site that nobody thought could ever be excavated because of its astonishing size and tri-tiered topography. When I first studied its remains with hot-air balloon photographs in 1992, I had no idea of the complexities that would be involved with the excavations—complications with the stratigraphy, discerning the material culture and the life-ways of the people who created and used the site. What made the excavations so complicated? There was tons of earth to be moved, thousands of earthquake-strewn architectural elements, and all kinds of architectural re-buildings. I must have been out of my mind to think I could excavate and make sense of it! Well, Brown University endorsed my efforts, so excavation started in 1993 and has continued on an annual basis until this year. The most important aspect of what I've fostered is student involvement and the development of their expertise [six PhDs], and now the focus concentrates on the Great Temple's conservation and restoration. You know what should be restored after you have actually seen the effects of excavation—collapsed architecture and glorious frescoes sliding off walls. In the process of excavation one comes to understand what materials over time have been loosened from their matrix. You try not to be too critical of yourself, but the bottom line is that excavation is destruction. Can you tell me more about your discoveries at the temple itself? The temple was built sometime between the late first century BCE and the first century CE. Its precinct covers an area that's about the size of two football fields put together. It's about 7,560 square meters [81,376 square feet]. And then, as I mentioned, we have a huge, open plaza lined with the buried fragments of 120 columns adorned with elephant-headed capitals. And we have something else that has never been seen in antiquity—a theater that's been constructed in the temple! Also we have recovered the largest cistern in the city center with 86,562.488 gallons or 327,640 liters of water! In addition to the temple precinct we have excavated an extensive 24-room Roman-Byzantine bath system and an 11-room Residential Quarter. There is yet another area known as the Baroque Room Complex where we found one of the finest collapsed gilded and painted stucco ceilings—finer than any that has been found of its kind, even in Rome. We have also researched the Small Temple [a Roman Imperial Cult Building] adjacent to the Great Temple. In toto, we have excavated an unbelievable surface area of 12,601.57 m2. A people that nobody knows very much about—the Nabataeans—created these enormous and fabulous structures that are riddled with so many anomalies. Who were they? We are beginning the process of their discovery. So this excavation has overflowed with questions and surprises, which have tested our mettle. Fortunately, we have completed the basic excavation and put our databases online on the World Wide Web. Now we are concerned with the publication of the remains and their preservation. Before retiring from Brown University, I really wanted to devote myself to a project that would challenge me at a world-class site—one I had researched and visited some 30-odd times as a tourist and found so intriguing. Fortunately, I was permitted to excavate by the Jordanian Department of Antiquities, which for two decades has been extremely supportive. What do you think the future holds for the field of archaeology? I think that the field is burdened by financial and political considerations. The future is really impacted by the strained finances of those institutions that at one time sponsored archaeological excavations. Now, some of these institutions have abolished their departments. Secondary school students are no longer taught Greek and Latin or other ancient languages. For some reason, such studies are not part of the curriculum that is considered worthy by our educators today. The whole focus of education has changed. So it's going to be more difficult for a myriad of reasons for archaeologists to find the requisite funding, and to financially support the expertise they need for fieldwork. As a past AIA president, what would you hope the Institution's role would be in the future of the field? The AIA must be bold. Every day there's some thrilling discovery about the Maya or the Egyptians that keeps my hope alive that the public shares in our excitement. Our culture is so pervaded with scams and Ponzi schemes that it's very difficult to be inspired and to see that hopeful light come through. The AIA has a wonderful challenge but also a great opportunity to help people ascend the mundane of everyday life. What's going on in the field is truly inspiring and dynamic, and what we're finding out about cultures is bringing those puzzle pieces of the human experience together. So I know that the AIA has enormous challenges but also tremendous opportunities to help us preserve our past and connect us to the future. Thank you, Eti. 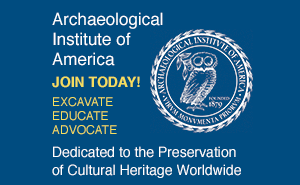 And thank you to the Archaeological Institute of America for this great honor.